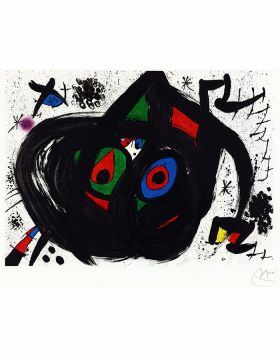 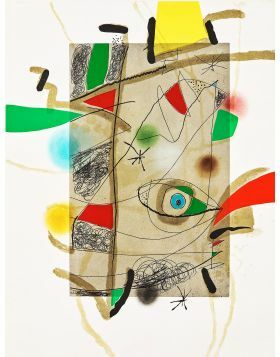 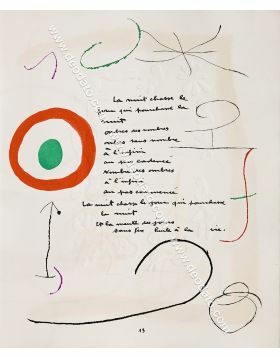 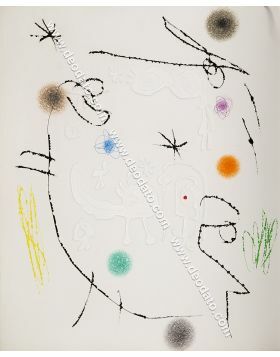 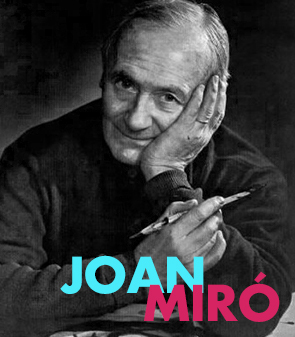 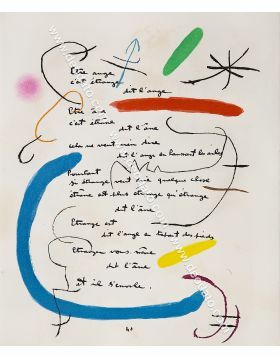 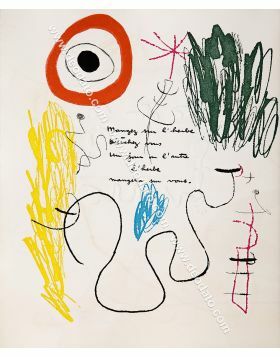 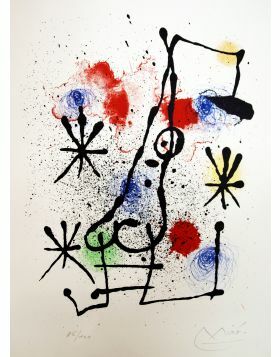 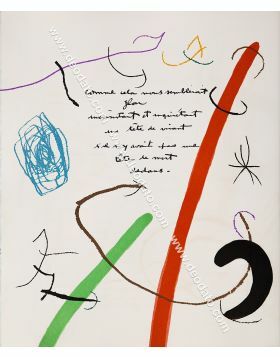 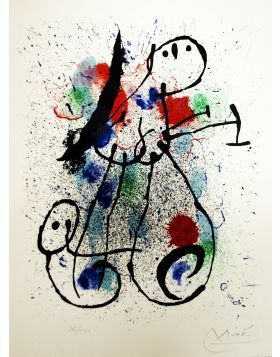 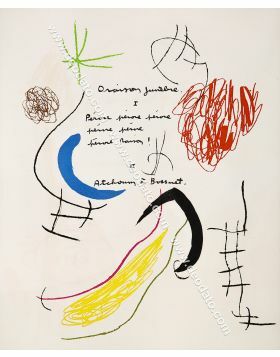 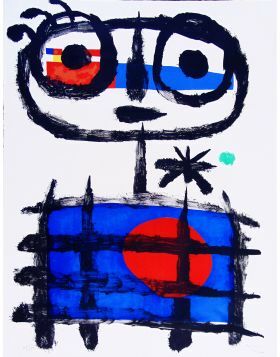 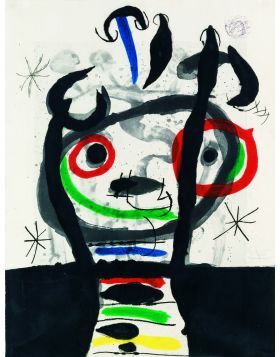 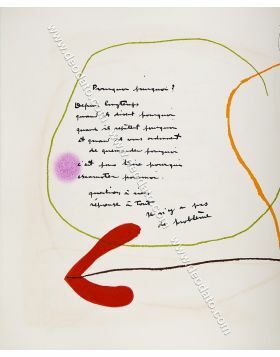 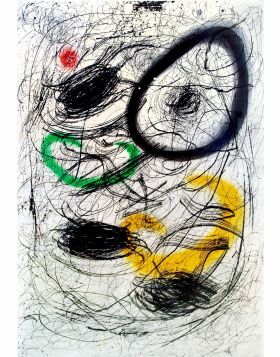 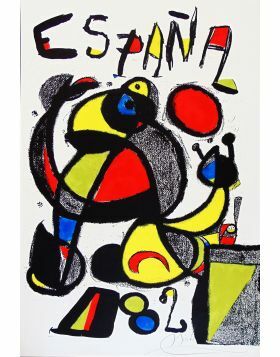 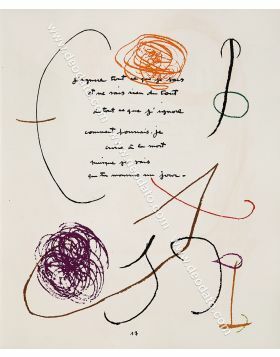 This Artwork of Joan Miró, titled "Ocellaire", is a color engraving on precious Arches paper. 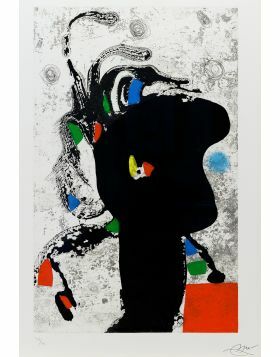 The edition is very limited, in fact there are only 75 pieces in the world. 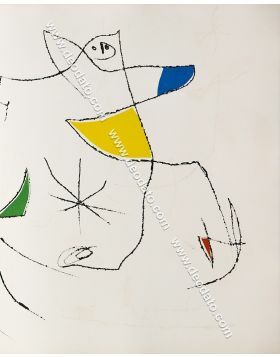 In particular, this is the nr.55 out of 75. 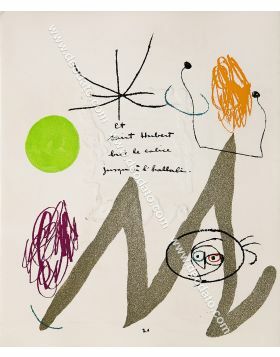 The artwork was made in 1972: it is signed and numbered in original by the artist. 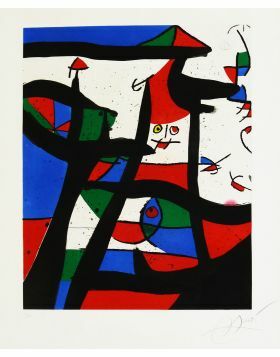 Color Engraving on paper (56 cm x 76 cm). 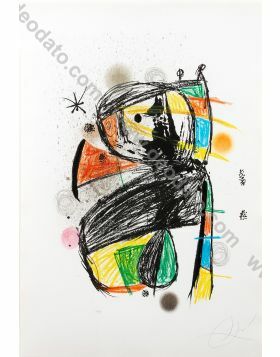 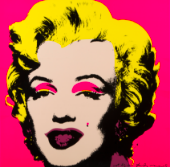 Limited edition in 75 works in all the world, signed and numbered in original by the artist. 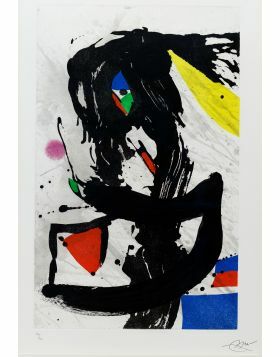 The work is already framed. 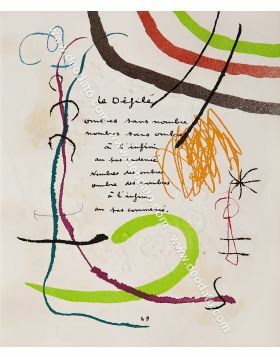 Nota Color Engraving on precious Arches paper (56 cm x 76 cm). 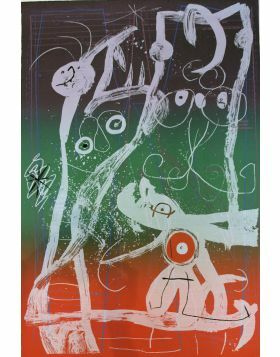 Limited edition in 75 works in all the world.